Hemp has been cultivated for millennia for fiber, clothing, paper, building materials, and of course, food. Rich in zinc and magnesium, which may contribute to healthy immune function and bone health, hemp seeds are also a good source of iron. They consist of 36% protein with all the essential amino acids and have healthy plant fats. 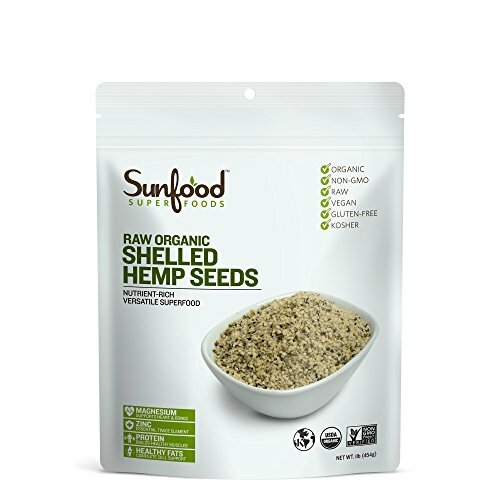 With a mild, nutty flavor and pleasantly soft texture, our hemp seeds add a superfood boost to any sweet or savory dish! Raw and certified organic, our Shelled Hemp Seeds are an environmentally friendly product that are sustainably grown without the use of pesticides or herbicides. They are carefully manufactured using a cold process to ensure delicate enzymes and nutrients remain intact to bring you the highest quality, purest hemp seeds available. If you have any questions about this product by Sunfood, contact us by completing and submitting the form below. If you are looking for a specif part number, please include it with your message.